I must apologise for the delay since my last post but I can assure you it hasn’t been for a lack of things to write about! One of my dear friends got married this week and I was privileged to be a bridesmaid. In the last week we’ve had a pre-wedding High Tea and Hens Party for which I did plenty of baking – I’ll write more about this later when I have some photos to show you! In the meantime, I thought I would give you a bit of an update from our vegie garden. As you can see, we have an abundant supply of vegies at the moment! So, what to do with them all? Having already had a curry for lunch we felt like a light dinner tonight. I steamed the broccoli and beans, sauteed the leeks and made a tomato salad with feta, basil, red onions and a drizzle of balsamic. 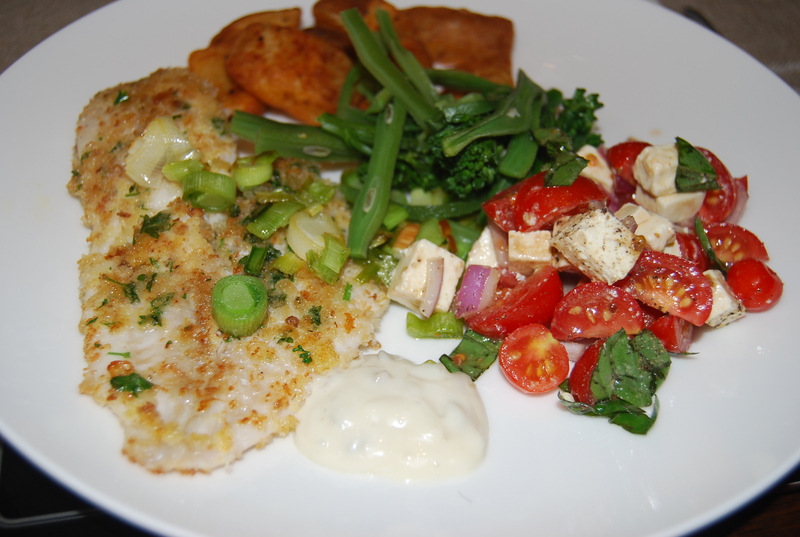 We enjoyed these with panfried crumbed Tarakihi and roasted potatoes. 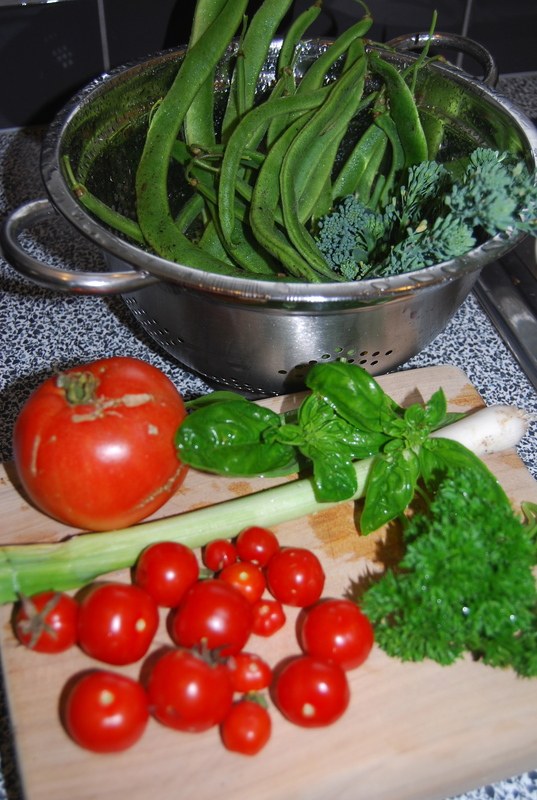 As for the surplus vegies – I think I’m going to have to get busy blanching and freezing and giving a bit away!